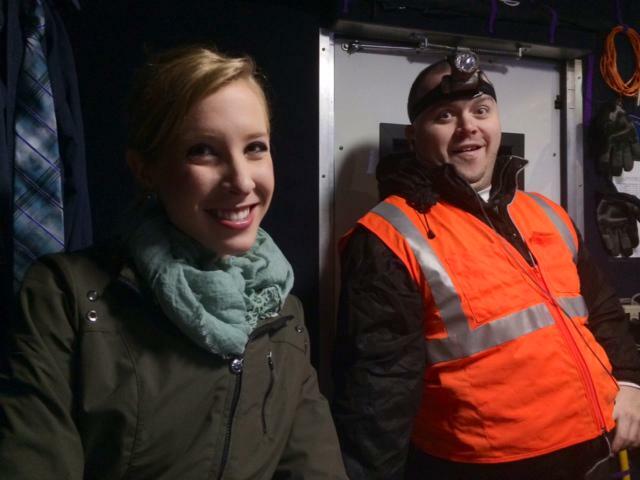 When I heard the tragic news that TV reporter Alison Parker and cameraman Adam Ward were shot and killed during a live broadcast, several emotions and thoughts rushed through my mind. How twisted was it that not only did the alleged gunman Vester Flanagan open fire on the victims while on live TV, but he also recorded the incident and posted it on Twitter? I could not get myself to watch the video. Flashbacks of former colleagues and experiences we’ve shared ran through my mind. I thought about precarious situations I’ve been in while covering local news. Then, I said a prayer for everyone involved: their families, friends and even for Vester. Yes, I always pray for the perpetrators when I hear about news like this even though some people, especially those who knew the victims, may be angry (I know I would and am) because at some point, something caused them to do this. Mixed in with the anger, grief and terror, I felt a sense of compassion. Not in an "It’s OK what the suspect did so let's forgive" type of feeling. Just a "No one wins" and "Let’s pray for everybody" feeling. Compassion may not be a word anyone wants to hear in situations like this, but hear me out. I ask for compassion for Vester. Why include the shooter in our prayers? I thought about how sad, dark and twisted Vester’s life probably was. I thought about how he grew up in the Bay Area, my stomping grounds for more than 14 years. I thought about how he probably ate at some of the same places I frequent. I thought about how he interned at the same CBS station in San Francisco where I interned. I thought about how he worked in Midland/Odessa Texas, the same TV market I was once in. I thought about how his family, friends and loved ones must’ve felt. I thought and wondered… what or who could’ve wronged him and hurt him? From mental illness to someone hurting them in the past, I believe that hurt people hurt people. If you’re not in the TV biz, I ask for compassion for my fellow journalist brothers and sisters. This could’ve happened to any of us. As a former TV reporter, I’ve been put in precarious, dangerous and vulnerable situations. In San Francisco, I remember doing a live shot in front of a sink hole and being terrified because a homeless person tried to grab my IFB transmitter attached to the back of my belt. As a morning reporter in Fresno, I remember being sent out on a story where a gunman was on the loose near a peach orchard. It was in the wee hours of the morning. It was dark. I was scared. The only thing illuminating us was the lights my photographer set up for our broadcast. Still, I knew I had to get the story because it was my job. When daylight broke, the gunman was found under the porch of a home just across the street where I went live. I thought about how Alison and Adam didn’t think they were in harm's way. It was a light story. I thought about the horror of seeing the gunman just before their lives ended. Journalists are not all sensationalism seekers. As all of my brothers and sisters in journalism can attest to, many of us do this for the love of storytelling. We’ve have had to move to small towns to start our careers. We were paid low wages, endured long hours, worked holidays and have had to sacrifice important life events away from loved ones. Out in the field we’ve been called mean things and threatened, while some colleagues were even attacked and robbed. The truth is, most of us got into this biz because we love to tell stories and we want to make a difference. It seems that Adam wanted to leave the biz for the same reasons I did. According to this article on NewsCastic, one Reddit user said he “…met Ward two weeks ago randomly while playing golf. And through small talk, Ward said he was moving to Charlotte and was getting out of the new business because 'he was tired of video taping people on the worst day of their life.' "
Life is crazy – the trajectory of our lives can change for the better in a split second, just like it can end abruptly. We all have the power to make decisions. We can choose to do more things we love and spend more time with people we love and to love more. We’re all on this planet together, trying to get by and dream before the deep sleep. As law enforcement continues to search for answers, I too struggle to find answers to the problems this tragedy sparks. There have been debates about gun control, mental illness, etc.. Truth is, you have more power than you think. I challenge you to take action. Do one kind thing for someone. I started to tell stories that inspire compassion and action. My team and I also created a Community Heroes program that inspires children to be kind and compassionate and help one another. A first grader in our program said, “I don’t think I can do a lot, but the other day I asked a girl who was eating alone at lunch to eat with me.” A small gesture that leads to big life changes. We may not be able to single-handedly solve these problems, but little by little, if each of us do one kind thing, the world would be a kinder place. 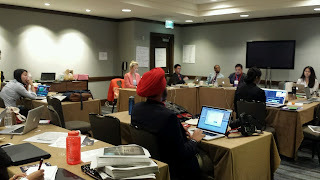 The 25th annual Asian American Journalists Association national convention is well underway in San Francisco. With family in town I won’t be attending, but I made time to see some of my old friends to catch up personally, professionally and spiritually. I’ve been a member of AAJA since 1996, taking part in the convention's student project in Seattle – go Unity ’99 – as well as winning a few scholarships from this organization that aims to support Asian American and Pacific Islander journalists. It’s a brotherhood and sisterhood of people who are storytellers, and where I’ve found many mentors and mentored many kids. For me it’s become a reunion of sorts. Yes I sound old, but a sign of age isn’t how you're feeling, rather, you know you’re getting old when former interns and mentees are now working in big markets and guest speaking on workshop panels. I like to drop in on the AAJA convention's student project VOICES to meet and greet these up-and-coming journalists who are currently bright-eyed, hopeful and energetic college students. While going up the escalator at the convention hotel, I saw some young, unfamiliar faces. This new crop of journalists and aspiring journalists brought back memories of when I attended this conference as a student. 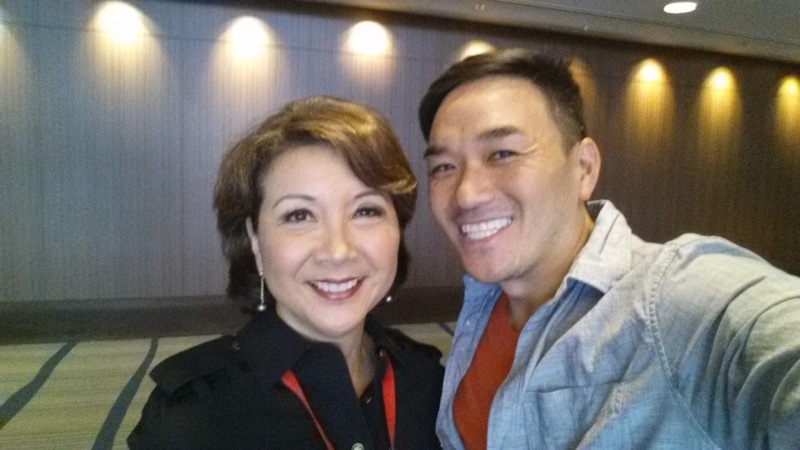 While most of the flashbacks were fabulous, I recalled and re-felt the anxiety of going to a professional conference early in my journey. 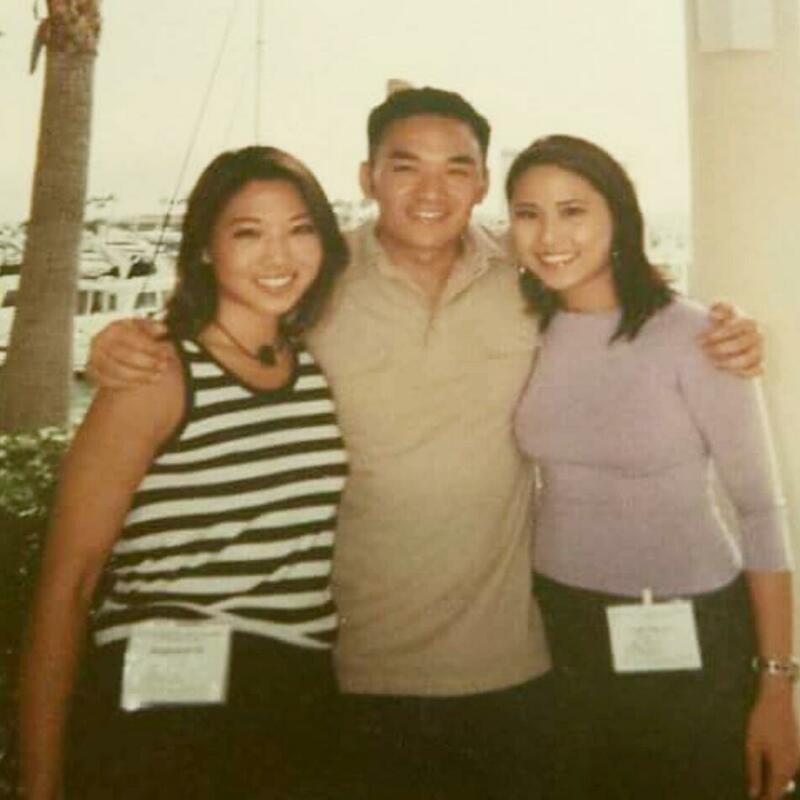 As a student at the University of San Francisco, I remember doing everything in my power in hopes of becoming a bona fide journalist one day; I interned five times, emceed events, applied for scholarships – I even co-created JAMS (Journalism Association for Multicultural Students), a student group at USF. As a university instructor and mentor, I'm often asked to give advice. My No. 1 piece of advice is, "Don’t worry, boo." Again, Don’t worry so much! As a student, I worried so much and wondered if I would ever get an internship. Check. I got five. I worried if I would ever get paid to do what I love: reading, writing and talking. Check. I got my first TV reporting job in Wasusau, Wisc. While in my small market, I worried whether I would ever make it to a bigger market. Check. I went to Fresno and then to San Francisco. When I got to one of the top TV markets in America, I worried about what my next career move would be. Check. I got to co-host a show on PBS. I worried so much back then. Only now when I look at old pictures, I realize that real success was in the moment. It was perfect when I made only $20k my first job. I met so many amazing people, told their stories and made life-long friends with people who took me in like family. of NBC Bay Area, who were also part of the Unity '99 student project. Sometimes I catch myself worrying what’s next. I started a nonprofit, Go Inspire Go. I search for everyday heroes so viewers can find the hero in themselves. I shot a pilot for a TV/web show with hopes of reaching a broader audience to share these stories. While things are going well some days, on others I feel a little worrywart growing in my mind, I stop myself and realize that this is exactly where I am supposed to be. Be right here. Right now. The past and future don’t exist. I can only do so much… connect with production companies, network execs, send emails, etc. But I can’t worry about things that are out of my control. While some of you may be tangled in the web of worry, untangle yourself. Make time to do things you enjoy. Be around people who bring you joy. That’s because if you trust and take action – you’ll gain traction… and wish that you had time to be with people you love and do the things outside of work that bring you joy. Truth is you will never “arrive.” So keep going and enjoy the journey. Veteran journalist brother/sisters what advice would you give your younger professional self? Let me know in the comments section.